HTC has announced that it is pushing out an update for the HTC One X today that will make a number of OS improvements. Android 4.0.4 has been making its way to a number of handsets recently and now the HTC One X can be added to the list, with HTC saying about the update: "As part of our ongoing commitment to ensure customers are receiving software updates that improve their user experience, we are pleased to announce our next upgrade for the HTC One X will be released on August 10." HTC also revealed in its statement the features that have been enhanced with the update. "The primary update will include an upgrade to Android version 4.0.4 (Ice Cream Sandwich), in addition to an improved Sense experience which will: enable the ability to map menu function to the 'recent app' key (improving visual presentation in non ICS apps like Facebook); improve tab management in the browser with a dedicated tab switching button and enhance camera capabilities such as white balance and continuous autofocus," it explained. "Customers can expect enhancements to memory, platform stability and the overall browsing experience. "Other improvements include a Single Sign-On for Facebook allowing user access across applications and browsers and upgrades to Beats audio, which reflect our dedication to providing an authentic sound experience." Considering in our HTC One X review we gave the phone 4.5 stars, these updates look set to strengthen what is already a great phone. 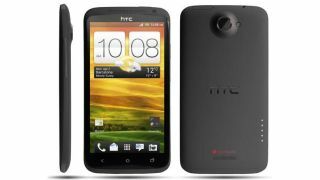 HTC revealed this week that it will be issuing Android 4.0 updates to all its ICS phones by the end of August.